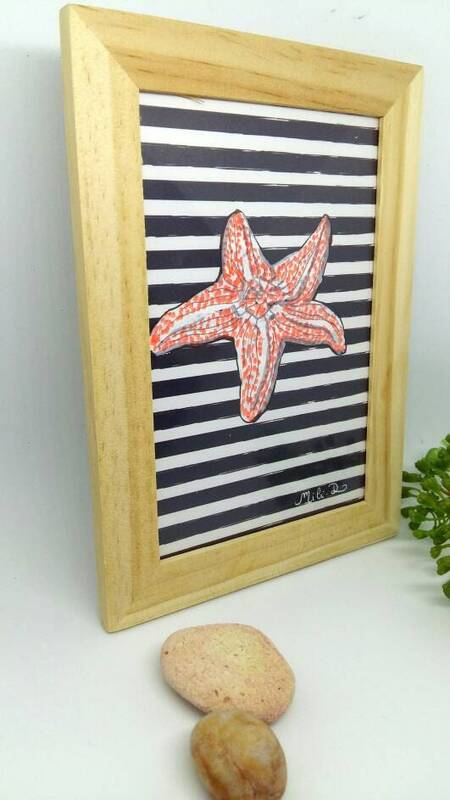 Etoile wood frame, marine frame, marine decoration, starfish, home gift, wall decoration. 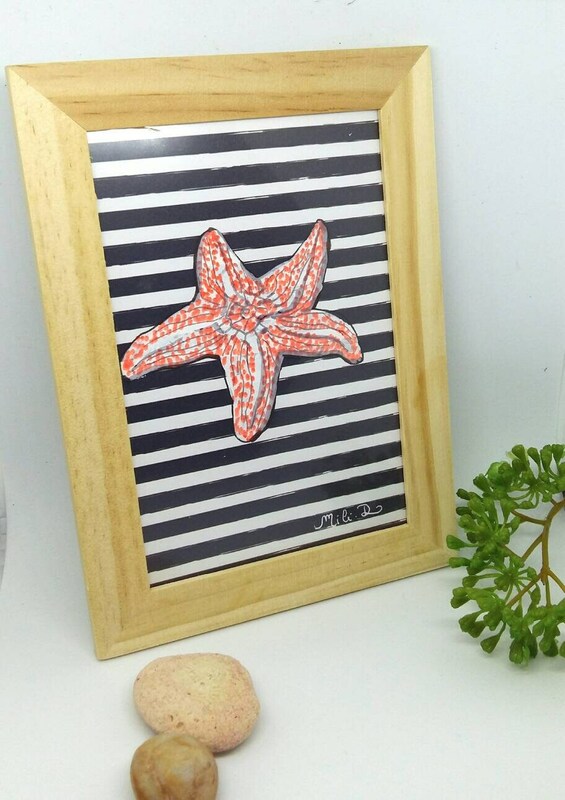 This frame represents a starfish, a mini illustration for a marine decoration. 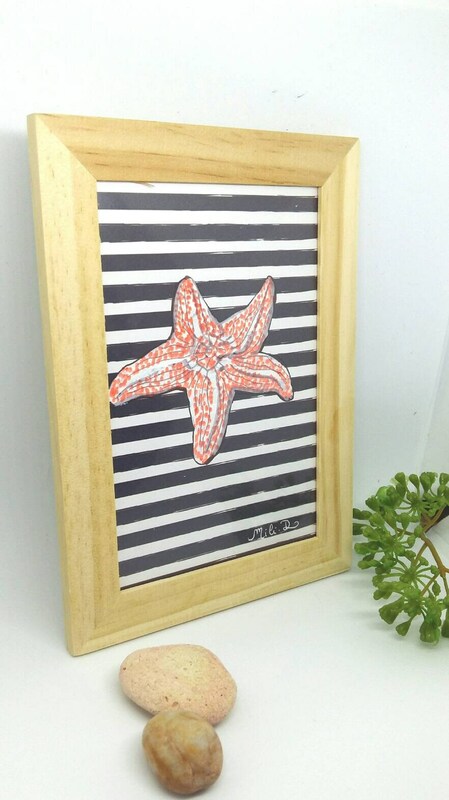 Purely decorative, it can hang on or sit on a shelf. 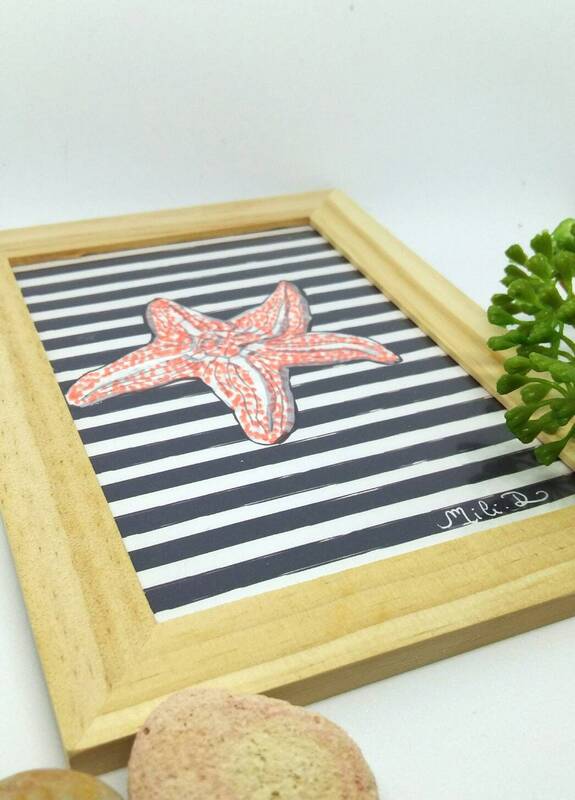 This marine setting is unique, created by the artist Mili.d. 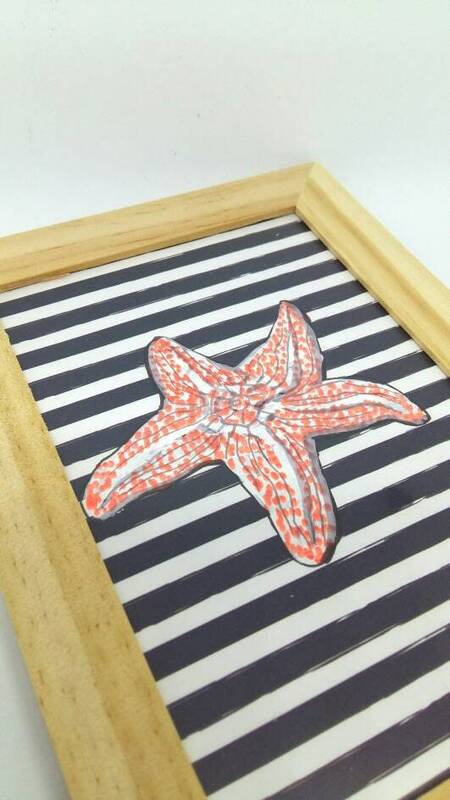 You will not find other paintings of this kind elsewhere. 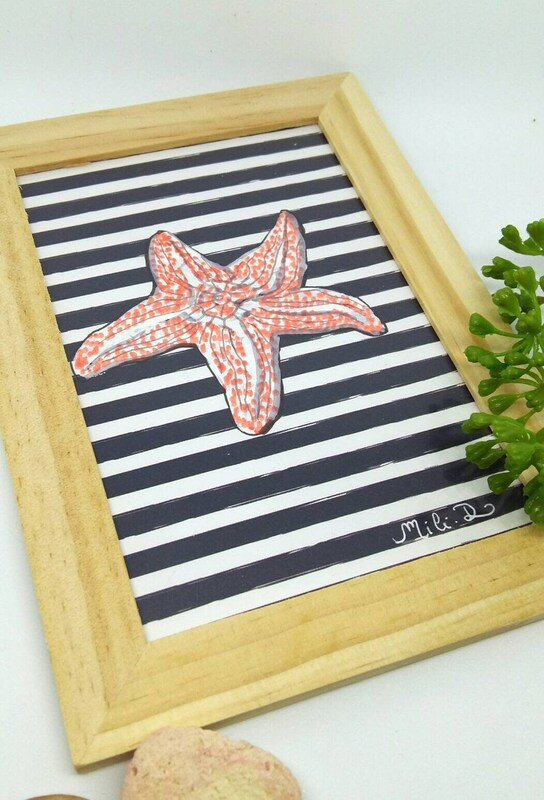 A perfect gift to offer or have fun for any occasion. Fast and neat delivery packed in bubble wrap to prevent tearing.